Uber has launched a new service called Uber for Business. The new service is aimed at new use cases like daily commute, late-night rides home from work, between-office transportation and more. The company notes that that the new service will be available to every member of the organisation. 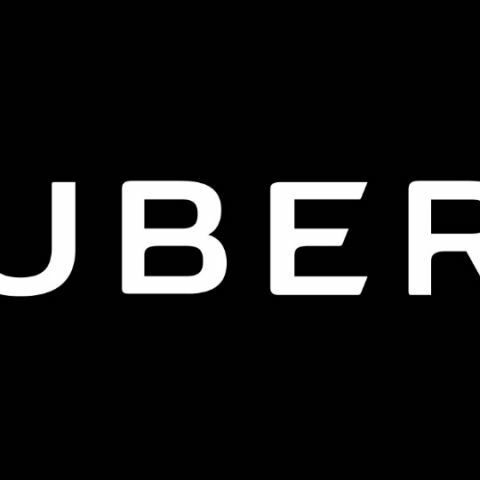 Uber, the ridesharing app that is redefining urban mobility across the world, today announced a new Uber for Business, enabling new use cases like daily commute, late-night rides home from work, between-office transportation and much more. When Uber for Business was introduced in India, the underlying mission was to give organizations a more efficient way to manage their business travel and improve employees’ experience. Uber soon realized that organizations needed much more than features like monthly billing and reporting. Whether it’s helping employees stay safe when they travel from work late at night, enhancing customer experience with pick-up and drop facilities, or seamless inter-office travel, organizations wanted Uber to solve some of their most pressing business challenges. "At Uber for Business we are continuously striving to make Uber a one-stop solution for all ground transportation needs of businesses. With the launch of our revamped Uber for Business platform, our technology makes it possible to create specialized solutions that help businesses have access to reliable transportation options for all their needs. Companies can now configure and use our platform to manage transportation requirements for all, while reducing costs, increasing operational efficiency and improving compliance” said Arjun Nohwar, APAC Head - Uber for Business. Set-and-forget travel programs: New tools allow managers to set up automated programs for commuting, business travel, airport rides, and any other mobility need. For example, if employees are working late, they could use a comfortable ride home. Managers can be the hero by setting up a “late night rides” policy that only works for trips taken between work and home after 8PM. The company can choose how much to fund per trip, and if employees need to take longer trips, it’s no problem, everything over the spend allowance will be charged to their payment method of choice. New permissions: Companies can set rules for employees, customers, and clients around the type of car that they can use, how much they can spend, and the location from which a trip needs to begin or end. They can mix and match these rules in the way that works best for their company. Different access for different groups: Businesses can provide customized levels of Uber access depending on each person’s needs. For example, you can give all of your employees INR 500 (or more) for their daily commute, while giving recruiters special access to call rides for candidates via Uber Central. By segmenting the organization by team, level, or location, they can take transportation policies out of the back office and easily bring them to life. A fresh user interface: The Uber for Business dashboard has been re-designed from the ground up to feature a cleaner, more seamless experience. A streamlined account setup flow makes it easy to get riding with as few or as many travel programs as needed. Plus, access to Uber Central is easily controlled, enabling employees who interact with customers, guests, or recruits to call a ride for them on demand. What does this mean for businesses? This means cost savings, because they can ensure that employees travel within company policy. It means time savings for admins and managers, who can now build set-and-forget travel programs for the whole company. And it means happier employees and customers since Uber can eliminate the stress of driving and parking and give people more time to catch up on emails, enjoy their morning coffee or take a few minutes to just relax. “Uber for Business has changed the way our employees travel around the world. We have done away with the inconvenience of pre-booking through vendors, eliminating administrative hassles completely. The dashboard gives company administrators flexibility and easy billing with cost savings is an added advantage,” said Rajeev Prakash, National Head of Administration, Team Computers. With the new Uber for Business, every member of the organization – travel managers, finance, HR, and executive leadership – can deliver solutions that improve the business, whether it’s through cost savings, employee productivity or scaling the business.